Sometime in September, GG hosted a party and she made some awesome steaks marinated in red wine. I thought I would try to come up with my own version. I also read an article online (here) that said that marinating meat in an alcohol-based marinade actually helps cut down on the carcinogens produced during the cooking process. Beer supposedly works better than wine and even tastes better so that is something I'll be experimenting with soon. 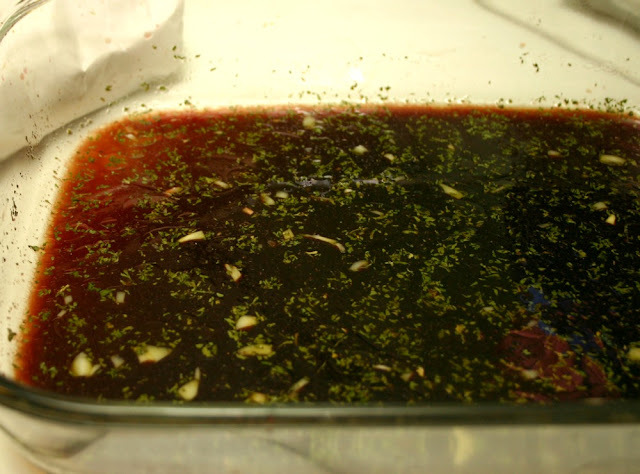 For now, here's my red wine marinade recipe. 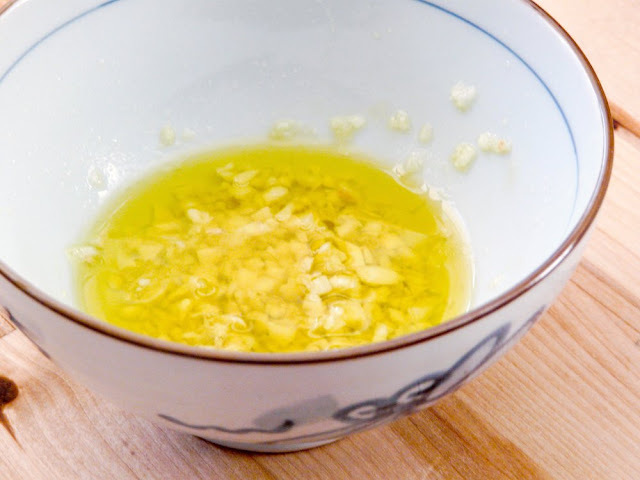 Mix the garlic and olive oil together in a small bowl. Microwave for 30 seconds until the garlic infuses with the olive oil. In a large glass dish, combine the remaining ingredients. Add the garlic and oil mixture then whisk everything together. Place the steaks in the marinade and turn them over a few times until well coated. You should have enough marinade to cover the steaks. 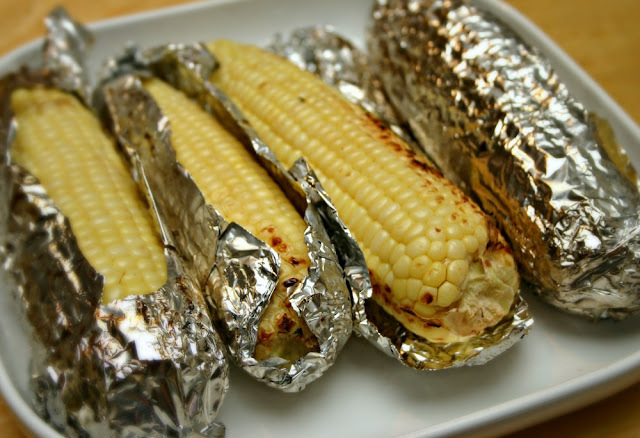 Cover the glass dish with plastic wrap and place in the fridge to marinate for 4 to 6 hours. 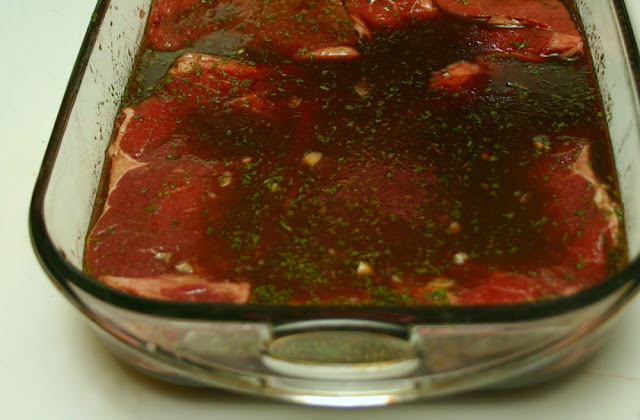 The longer the meat sits in the marinade, the more effective the alcohol becomes in battling the carcinogens! 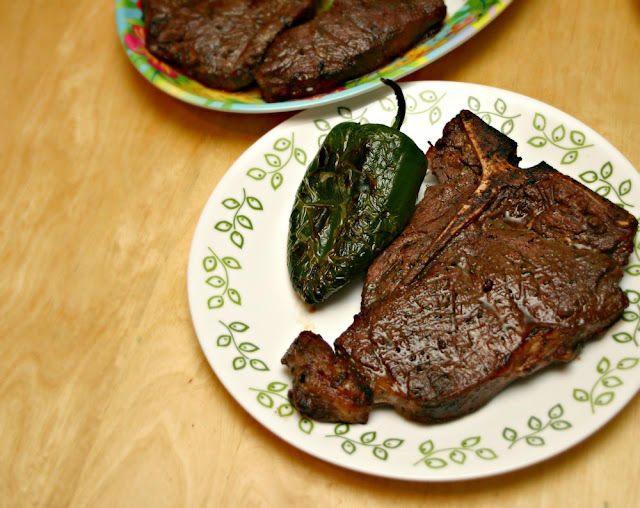 You can barbecue the steaks or broil them. Remember to let the steaks rest for 5 to 10 minutes before cutting into them so that the meat will retain its juices better. Serve the steaks with veggies and sides that float your boat. 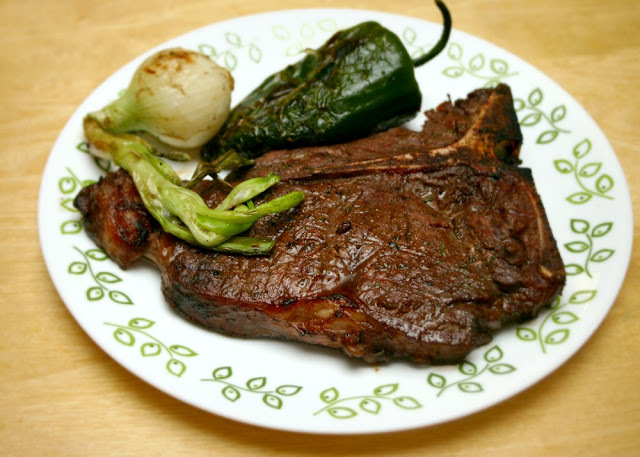 In our case, we had our steaks with poblano peppers, Mexican Cambray onions and sweet corn. 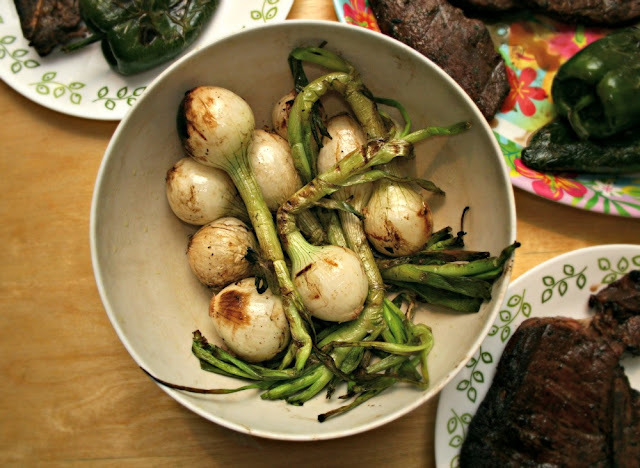 Seasoned with just a touch of salt and olive oil, these Mexican Cambray onions grill up so nicely and taste fantastic. After looking at a few of the blog posts on your site, I truly like your technique of blogging.